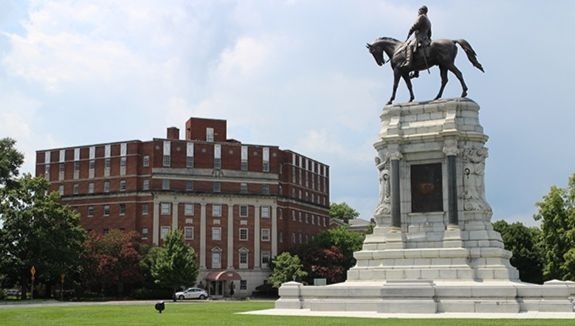 A Monument Avenue office building overlooking Richmond’s largest Confederate statue has been emptied and is slated for a residential conversion. The Lee Medical Building at 1805 Monument Ave., in the southwest quadrant of the traffic circle surrounding the Robert E. Lee Monument, is under contract to be purchased, confirmed Matt Raggi, a principal with Thalhimer Realty Partners. 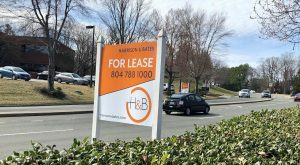 Raggi said the buyer, an entity called Lee Medical Building Developer LLC, plans to convert the six-story, 49,000-square-foot building into 62 or 63 apartments, with Thalhimer Realty Partners hired on as a third party to assist with the project. The medical office building was constructed in the early 1950s. Raggi would not discuss the buyer further or disclose a purchase price. He said the transaction is anticipated to close in the next couple months. City property records list the seller as Aramin Properties LLC, which purchased the building in 2005 for $2.4 million. A city assessment most recently valued the property at $2.2 million. Reached Monday, Aramin principal Yasser “Mike” Aramin confirmed the building is under contract and referred additional questions to Raggi. 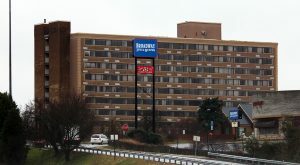 Raggi said the development team is aiming to start construction this fall on the apartments, which he said would be comparable in rental rates to newer Class A rental communities in the Fan and Museum districts such as Cary Street Station and Carytown Crossing. He said the conversion would maintain the building’s rear surface parking lot. The team is working with local architects Scott Gordon and Robert Mills, and Sadler & Whitehead is handling historic tax credit consulting. Raggi said Capstone Contracting is the proposed contractor for the project and Virginia Credit Union is the proposed lender. The building previously had housed about two dozen office tenants, primarily doctor’s offices and medical office users. All had moved out as of Monday. Alan Entin, a psychiatrist who said he had worked in the building for 42 years, said he was told in mid-April he would have to move out within two months. 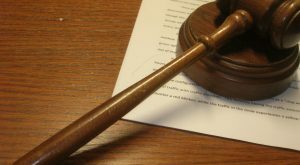 He since has relocated his office to One Monument Avenue on nearby Stuart Circle – a mixed-use complex being converted to condos after it was purchased in February for $12.05 million. 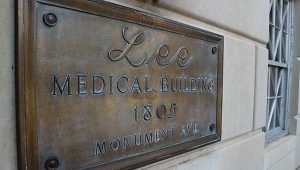 Like that property, Entin said Lee Medical Building, built in the early 1950s, once had a doorman who would polish and operate its dual brass-paneled elevators. 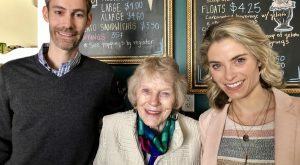 He said the elevators became less reliable in recent years as the building declined with ownership changes, but he said longtime tenants remained loyal to the building. Entin said some tenants moved to office space at Retreat Doctor’s Hospital, while others joined him at One Monument Avenue. The Lee Medical deal adds to other signs of investment around Monument Avenue’s statue-centered roundabouts. In addition to One Monument Avenue, Stuart Circle is being eyed for a new six-story, 105-unit apartment building behind St. John’s United Church of Christ. 12 Comments on "Office building near Lee Monument under contract; apartments planned"
The Lee Medical Bldg is in complete disrepair. It needs a rebirth. It’s reappointment as apartments is well beyond its time. So, where will they all park? Will this end up like the boondoggle on Grove at Libbie which isn’t finished? That area already has transient parking on Granite Avenue disrupting the neighborhood parking. There is no mention of parking for all these people ! As a close neighbor, I wonder if this will end up being yet another VCU housing facility! I am betting they will need a Special Use Permit as the building is going from a non-conforming but grandfathered office use to residential apartments and its zoning is R-6 which only allows single family attached and detached uses. So it might be time for neighbors to start speaking up. Michael, it looks like around 44 in that lot, plus 10 or so next to the building (based on aerial info). They may be able to squeeze out a few more. Plus there is parking on Allen and Monument. The new Kent and Monument apartments didn’t allow residents to move in until May 2018. Where do you get your facts from? I’m talking pre-leasing or did they not do any of that for this property. Is 3900 Monumebt fully leased? Office rents in that area are roughly half what residential will yield. The building needed a complete rehab for systems and elevators. It probably needs a new roof. yes I’ve been in it and on top of it. It’s a mess! the Fan is at 96% occupancy for residential. Agreed, Bruce. While it’s ideal to have a mix of uses within a walkable neighborhood sometimes a building needs a new life as something else. I’m glad this building will see some much needed TLC. What’s going to happen to all of these beautiful buildings when the monuments get ripped out by the mayor and council? I mean, the buildings will still be there but the avenue won’t be very attractive anymore.